Matt Toomua is back in Leicester among his Tigers team mates after returning from international duty with Australia in this season's Rugby Championship and the Wallabies back says there's a 'buzz' around the club's Oval Park Training Ground after back to back victories leading in to the opening fixture of the Heineken Champions Cup. "There's a buzz about the group," said Toomua. "I'm very excited to be back here, a fair bit has happened since I was last here, and we're starting to get a few results on the board now so it's a good time." The 28-year-old last turned out for Tigers in the opening week of this year's Gallagher Premiership, away to Exeter, and since then has travelled most of the Southern Hemisphere with fixtures at home in Australia, New Zealand, South Africa and Argentina. "I've got my hands full ... competition is only great for the team." 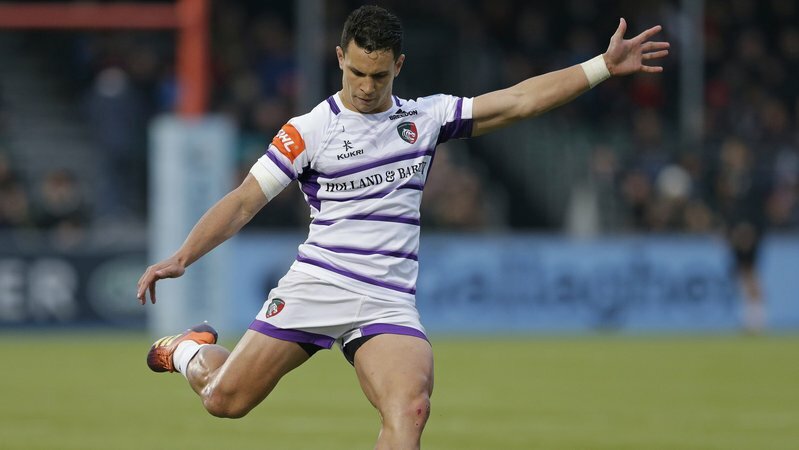 However, no matter the time zone, Toomua kept an eye on proceedings in the Premiership and admits the recent run of form only heightened his excitement levels at being back in Leicester. "I'm very excited to be back here, a fair bit has happened since I was last here, and we're starting to get a few results on the board now so it's a good time," he said. "I was up late, or early, depending where we were in the world." While he missed out on being a part of last weekend's testimonial fixture in support of his former international team mate, Rob Horne, the Wallaby contributed by purchasing 20 tickets to the Twickenham fixture which he gifted to Tigers fans in a show of support for his countryman and Leicester team mates. "I felt a little bit of guilt not being able to be a part of that game for Rob Horne." The centre also arrived back to a new head coach in Leicester, with Geordan Murphy taking the reins from Matt O'Connor following the opening round loss to Exeter. Toomua was full of praise speaking about Murphy's promotion, saying: "Geordie is a very well respected person in the club and has been for many, many years." In a boost to Murphy ahead of kick off in this season's European campaign, Toomua and fellow Wallaby Tatafu Polota-Nau are available for selection in Saturday's away game against Ulster in Belfast and he's confident the Tigers group are 'up for' the challenge of Kingspan. "A change is as good as a break ... it's exciting for the guys and we'll be up for it," Toomua said. "Ulster and Tigers have proud history. "It's a tough ground to win at ... you'll get an emotional response with the fact it's Europe." "Geordie is a very well respected person in the club and has been for many, many years." 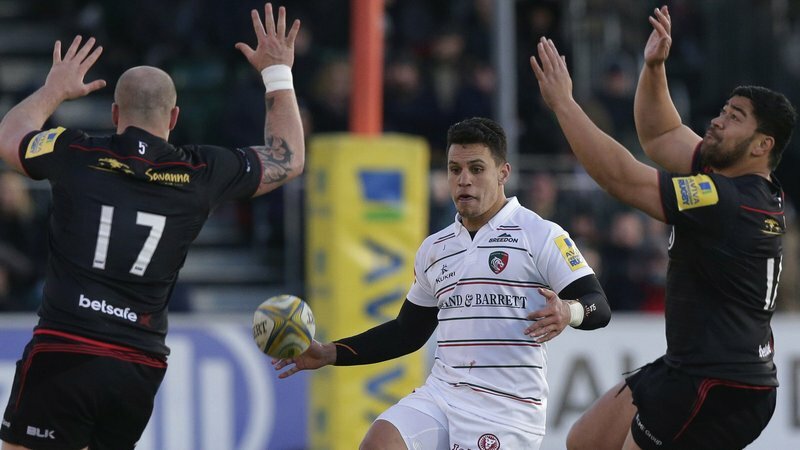 When asked where the game will be won, Toomua was quick to point towards the physical side of the game while also acknowledging Leicester needed to be confident in their own attack which has scored 17 tries in five games under Murphy's watch. "These games are won generally on physicality, defence and discipline away from home," he said. "We've got enough trust in our attacking shape that we can score some points." At the forefront of the improving Tigers attack has been fly-half George Ford's form and an ever-growing combination in the midfield between new recruit Kyle Eastmond and a fit Manu Tuilagi, which Toomua admits presents a problem for him personally but ultimately is only a positive thing. "I've got my hands full ... competition is only great for the team," said Toomua. "Hopefully I can force my way in to there ... if the team is winning, I'm more than happy to play anywhere." Watch the full interview with Toomua below on LTTV and click here for an exclusive chat with Tatafu Polota-Nau about his own return to Leicester.